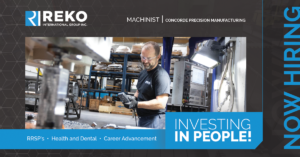 Reko is one of the most technically diverse suppliers of factory automation in Canada. 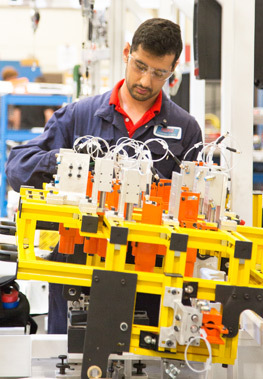 We are able to provide cost effective solutions to a variety of factory automation challenges including quality, productivity, and safety. Through our strength in engineering and design, we truly are a group of innovative people driving excellence through automation. 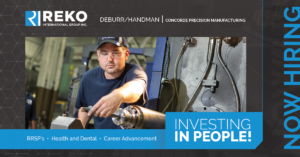 Click here to visit the Reko Automation website. With a dedicated service and support staff on hand, we are on call 24/7. Highly technical staff with the ability to demonstrate depth of knowledge and technical expertise in a wide range of automation solutions. Conceptual knowledge and strength with the ability to find effective solutions by taking a full rounded, abstract, or theoretical perspective approach. We tackle a problem by using a logical, systematic, sequential approach. 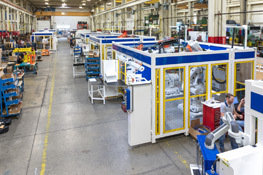 Our automation cells are built with the most reliable components and craftsmanship. 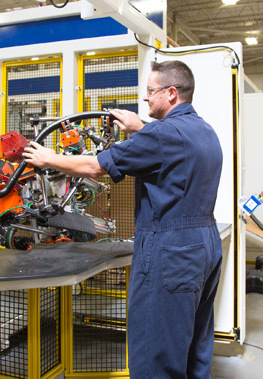 We strive to build the most reliable equipment giving you the lowest cost of ownership and an uptime percentage that exceeds the competition. Full simulation packages are available with every product we build and the ability to visualize our concepts in a virtual reality platform.